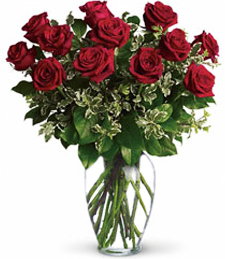 All red velvety blossoms shimmer and shine with that monochromatic charisma of color that deepens the soul. 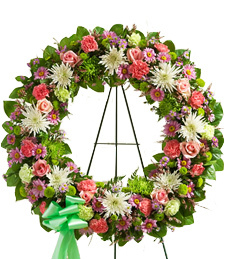 Embrace the Circle of Truth with a lavish eye-catching standing funeral wreath artistically designed with a clever eye and gentle touch perfect for that delicate occasion. A Genuine Heart Standing W..
Heartfelt Mists embrace the air with the sweetest scents of unconditional love and deepest friednships that last for eternity. Highlight the moment with fresh shimmering blossoms in the most dashing shades of red and white to sooth their troubles and ease their pain. 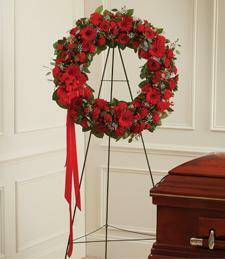 Embrace the Moment with a heartfelt gift of a funeral standing wreath artistically hand designed with thr most precious shimmering blooms in striking shades of red and white. 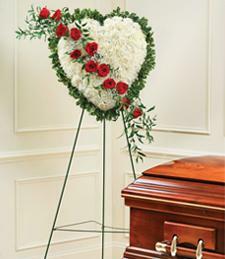 Surprise that grieving loved one with a gift that will be remembered for eternity. 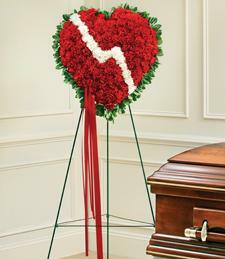 Broken Hearts are never forgotten with a special gift of a standing funeral wreath hand-designed with all scarlet red and shimmering white blossoms that air of that sweet heavenly aromatic scent of forever love. Sooth their troubles with an open heart and geniune love for friendship is the greatest gift! 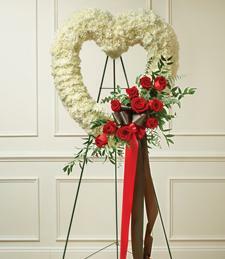 Enter the reign of Peaceful Eternity with that memorable standing spray for that delicate occasion in a time of loss. 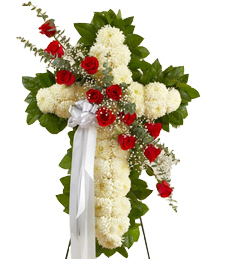 Striking red and shimmering white blossoms create that essence of healing and spiritual uplift that every grieving loved one can appreciate. 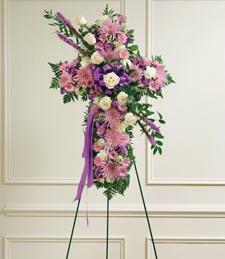 There is nothing more profound in a time of loss as a Cross of Faith standing wreath to symbolize the peace and eternity of unconditonal love. 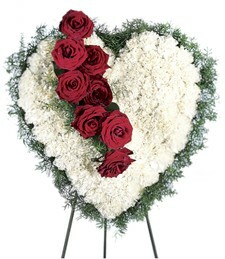 All tranquil white blossoms with a dash of red roses make for the ultimate show of compassion! 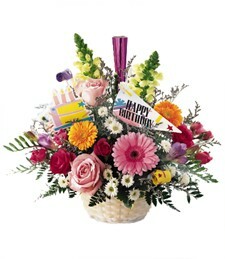 Embrace the allure of Falling Skies of Mist Sympathy Wreath for a spiritual revelation is the essence of the occasion. Pastel hues in the colors of a morning sky of clear blue and shimmering white blossoms highlight that special moment with that grieving someone to heal them from their loss. 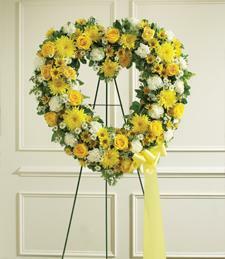 Open your eyes to Sunshine of My Heart Sympathy Wreath of dazzling yellow roses to set the occasion right with positive vibes amd deep friendship. 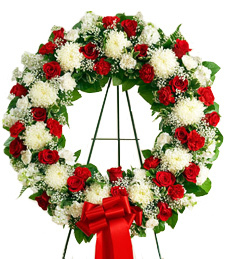 Give them a gift that will last a memory for a lifetime and sooth their troubles ans grief. 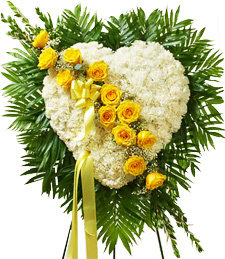 Ignite that warm unconditonal love in that grieving someone in a difficult time of loss with a perfect gift of an Innocence of My Heart Sympathy Wreath hand-designed in brilliant yellow and shimmering white blossoms. Now is the time ot nuture that special love one with trust, hope, and a compassion. 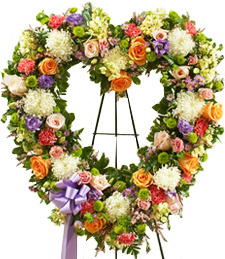 Stand the test of time with a Lilac Hearts Sympathy Wreath delicately designed with the most brillant precious blooms in dazzling shades of white, lavender, and purple to make for a percfect occasion. 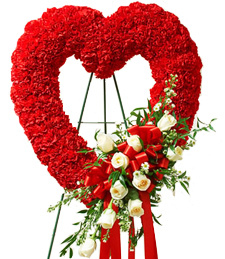 Show your deepest emapthy to that grieving loved one for the gift of genuine friendships can never be replaced. 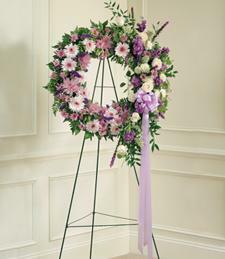 There is no greater gift than a Precious Lavender Moments Cross Wreath creatively designed of shimmering white and mystical lavender blossoms that air of sensual charm and sweet springtime aroma to sooth that grieving special someone's pain in a time of loss. Guide them through the garden of healing and all troubles will be forgotten. 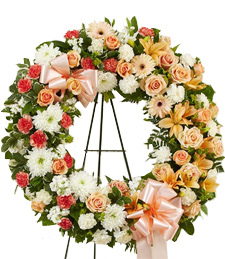 Ignite the essence of Peach Billowing Blossoms Sympathy Wreath with a perfect array of dazzling blossoms in shades of juicy peach and creamy white to add to that precious occasion. That special someone will always be grateful for all of eternity. 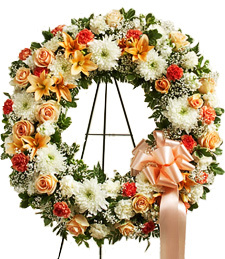 Ignite the essence of Springtime Peaches Sympathy Wreath with a perfect array of dazzling blossoms in shades of juicy peach and creamy white to add to that precious occasion. That special someone will always be grateful for all of eternity. 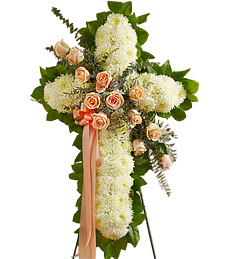 Highlight that sensitive occasion with a symbol of faith and unconditional love of a My Peach Cross Standing Wreath of precious peach and shimmering white blossoms to be that guiding light shining down on their loss. A sacred time of healing is just around the corner. 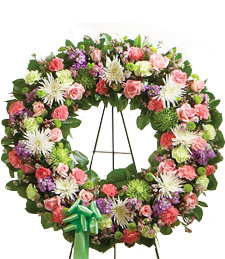 A Circle of Friendship Sympathy Wreath symbolizes those cherished lifetime memories held precious for eternity. 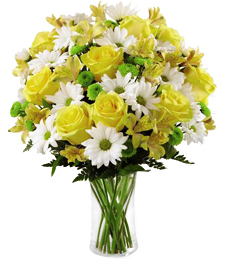 A dazzling plethora of mixed pastel blossoms flair with utter elegance and sweet springtime aromas to forget their troubles and pain. Guide them down the garden of healing for unconditional love is a true gift of life. 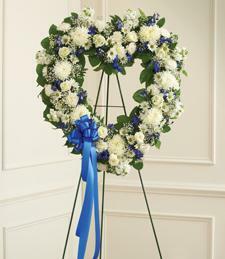 An Unconditional Love Sympathy Wreath symbolizes those cherished lifetime memories held precious for eternity. 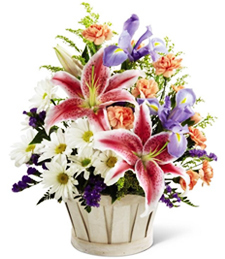 A dazzling plethora of mixed pastel blossoms flair with utter elegance and sweet springtime aromas to forget their troubles and pain. Guide them down the garden of healing for unconditional love is a true gift of life.